WASHINGTON (Sputnik) - US Secretary of Defense James Mattis told reporters on Tuesday evening that the United States has seen no evidence the Syrian opposition has any chemical weapons capability. "And right now we see zero evidence that the opposition has any chemical capability, notwithstanding what Russia has been broadcasting repeatedly," Mattis said. The US defense chief refused to comment what the US response would be if chemical weapons were to be used in the Syrian province of Idlib, but said the United States is watching the Syrian government’s actions very closely, including the actions of Russia and Iran there. 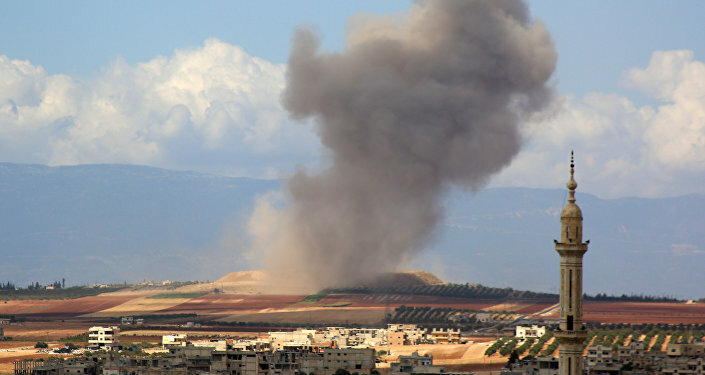 Earlier in the day, the Russian Center for Syrian Reconciliation said the filming of a staged provocation with the alleged use of chemical weapons had begun in the Idlib province. 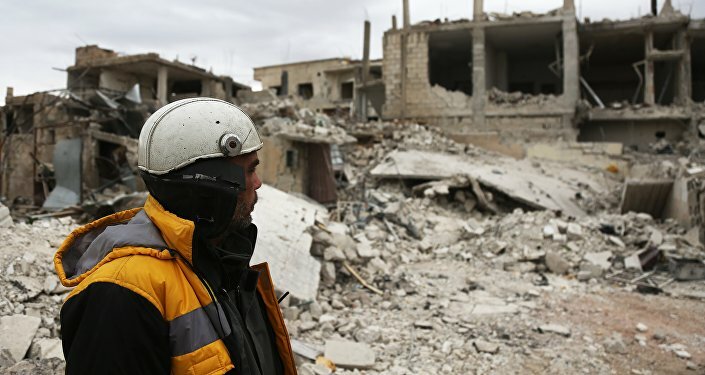 A Syrian human rights activist later told Sputnik that Dozens of White Helmets arrived from Turkey to Idlib in order to conduct the false flag operation. He said they had tanks containing an unknown gas with them. The Russian military said that the gas was a chlorine-based toxic substance. Moreover, Russia has warned of the planned false flag operation since late August. Russian Defense Ministry spokesman Maj. Gen. Igor Konashenkov said that terrorists of the Tahrir al-Sham group (affiliated with the Jabhat Fatah al Sham terror organization) were preparing the false flag chemical attack to provoke foreign intervention in the country. The last Western attack on Syria took place after April's chemical incident in Douma, which was blamed on Damascus by Syrian militants and Western governments. Syria called the Duma incident a false flag operation, stressing that it got rid of its chemical weapons stockpile with the oversight of the Organisation for the Prohibition of Chemical Weapons (OPCW).